Whether running or walking, everyone enjoys our flat, fast & scenic 3.1 mile course taking place entirely on the DCR's Charles River Esplanade. FIRST 200 ENTRIES ARE FREE! If the event is not sold out, raceday registration will be available for $40. RACE Cancer Foundation's #raceforall program offers free and discounted race entry into many of our events. Applicant eligibility is based on need. Please email hello@racecancer.org by 12/4 for more information. This year we will not be offering free swag because the event is a fundraising effort for our new #raceforall program which provides free and discounted race entry to those in need. However you're still getting a chip-timed race on a safe course, with a fun after-party right on the Esplanade. Yes, this year we will stay on the Esplanade for an after-party at the Charles River Bistro next to the Hatch Shell. As with all of our events, we'll have free bag-check at the race and free race photos posted on RaceMenu's Facebook page. 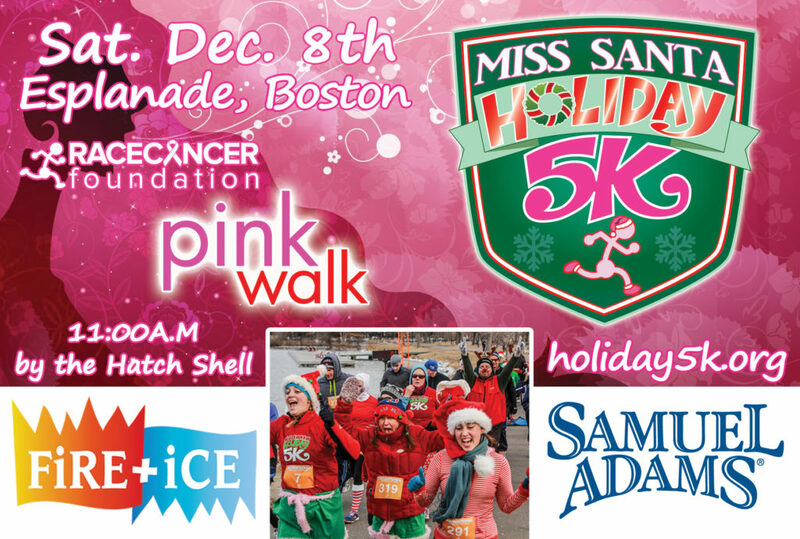 The Miss Santa Holiday 5K is a chip-timed event for runners. The chip will be on your race number, which should be worn on your chest, i.e. front and center above the waist. Top Miss Santa costume (judged by the crowd and the race director!) + Top 3 Male & female overall and age group awards: 18 & under, 19-29, 30-39, 40-49, 50-59, 60+. Overall awards are based on gun time, AG awards are based on chip time. Trophies/medals can be picked up at our office but any other prizes may only be claimed at the awards ceremony. View the Holiday 5K course map here. 2018 COURSE DUE TO BRIDGE CONSTRUCTION. See this year's course map below, or view it on MapMyRun. The course is held entirely on the DCR’s Charles River Esplanade. Top Miss Santa costume (judged by the crowd and the race director!) + Top 3 Male & female overall and age group awards: 18 & under, 19-29, 30-39, 40-49, 50-59, 60+. Overall and AG awards are based on gun time. 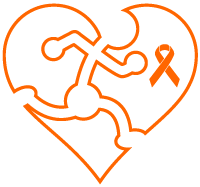 All RACE Cancer Foundation event trophies/medals can be picked up at our office but any other prizes may only be claimed at the awards ceremony. Green Line: Get off at the Arlington Street Station. Walk along the Public Garden/Arlington Street to Beacon Street. Cross over Beacon Street and take the Arthur Fiedler Footbridge over Storrow Drive to the Hatch Shell. From there, follow the path across the lagoon towards the Arthur Fiedler statue. Red Line: Get off at the Charles Street/MGH station. Take the footbridge over Storrow Drive to the Charles River side and walk west along Storrow Drive. The Hatch Shell is a short walk from there; follow the path across the lagoon towards the Arthur Fiedler statue. If driving, park at the Boston Common Garage on Charles Street. Upon exiting the garage, go right on Charles Street and left on Beacon Street. Cross over Beacon Street and take the Arthur Fiedler Footbridge over Storrow Drive to the Hatch Shell, then follow the path across the lagoon towards the Arthur Fiedler statue. NEW FOR 2018: We're staying on the Esplanade for the after-party at Charles River Bistro! In the event of inclement weather, the event may be postponed to another date. No refunds will be issued due to conflicts with the postponement date. If RACE must cancel the event due to circumstances beyond our control, no refunds will be issued. Please remember, all proceeds go to charity.